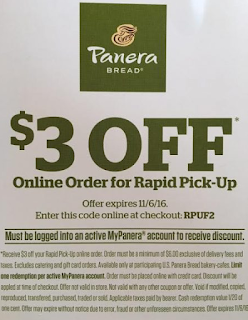 Now thru Nov. 6, Panera members can score $3 off a $6 or more online order at Panera Bread when they select a rapid pick-up order and use the code RPUF2 at checkout. 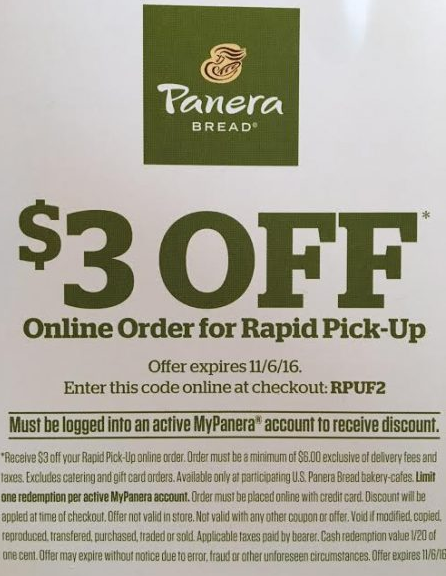 Don't have a Panera account? You can sign up here.